I have never smoked chicken wings and was wondering at what temperature I should run the smoker. How long I should smoke the wings? What would you recommend for seasoning the chicken wings before I smoke them? A rub or a marinade? And should they be brined first? Jim, you can use a smoker with out wood chips so there's no smoke but at that point I'd put them in the oven. I've smoked wings a couple of times on my electric smoker. I use a lot of soaked hickory and smoke the wings at 200 for about 4 hours. I don't let it get over 200. Low and slow and they are good. I am going to put them on my Weber for about 10 minutes to get them crispy. 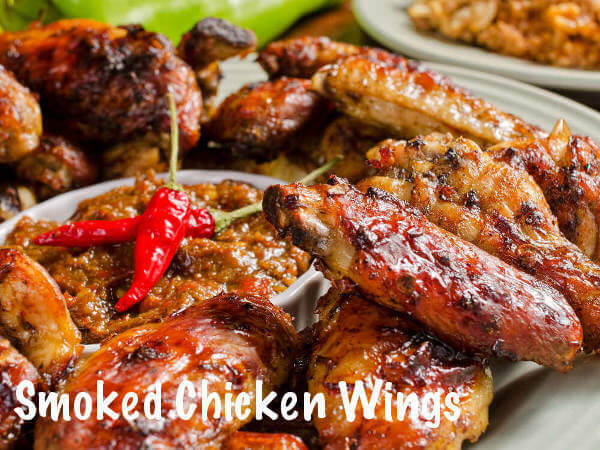 Can you use the smoker to cook the wings without the smoke? Chicken wings are great smoked. I remove the wing tip section first, since there's not much there, then brine them for an hour in a basic poultry brine. Season with a mixture black pepper, paprika, onion powder and maybe a touch of cayenne pepper. Smoke them at 275-300 degrees for 1-1/2 to 2 hours. When done, the two wing sections will separate easily at the joint.